Doug was born July 26, 1949, in Minneapolis, Minnesota, to Dr. Leong “Lee” and Syen “Sunny” Hom. He was the eldest of four boys and, although the competition was stiff, the most adventuresome troublemaker of the lot. During his youth in small-town Battle Lake, Minnesota, he played golf, baseball, and basketball; participated in band, chorus, and debate; and did other “normal” things that would surprise no one who knew him, like spontaneous multi-day canoe adventures and making sure nobody picked on his little brothers. Smart and opinionated even then, he graduated as high school valedictorian. The caption for his high school senior photo was, “Even his explanations needed explaining.” This sentiment followed him throughout his entire life. He graduated from the University of Minnesota Medical School in 1974, moved to Glens Falls, New York, and established a private medical practice. 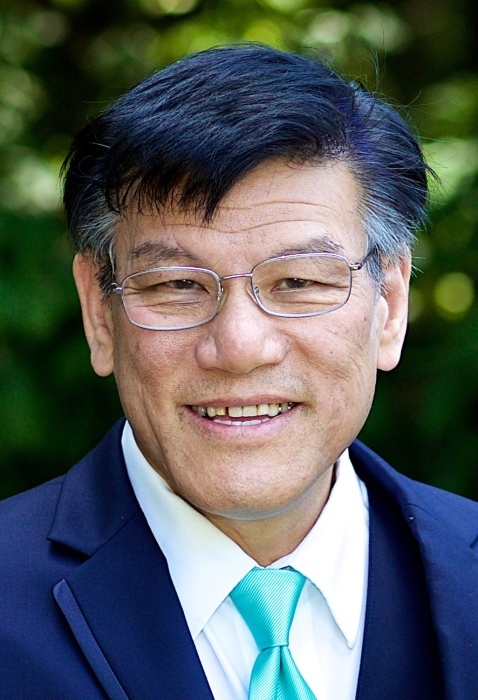 In 1985, he moved to Seattle and worked for the Providence Hospital medical group until 2000 when he and his brother, Dr. Denis Hom, opened a medical practice together in West Seattle. During this time, he also treated patients at several adult family care facilities. Drawing on the legacy set by his father, Doug took his vocation to heart. His patients were treated with the same compassion and genuine – if sometimes tough – love as his family. Memorial donations may be made in his name to Tibbetts United Methodist Church (http://www.tibbettsumchurch.org), Operation Nightwatch (https://www.seattlenightwatch.org), or Seattle’s Union Gospel Mission (https://www.ugm.org). A Celebration of Life service will be held on Saturday, March 2, 2019, at 1pm in the sanctuary at Tibbetts United Methodist Church in West Seattle (3940 41st Ave SW). It will be open to family, friends, and all who wish to pay their respects. Black/mourning attire is requested.